I wanted to bump up the process priority of Internet Explorer 8 under Windows 7. There are at least a couple of ways to do this. 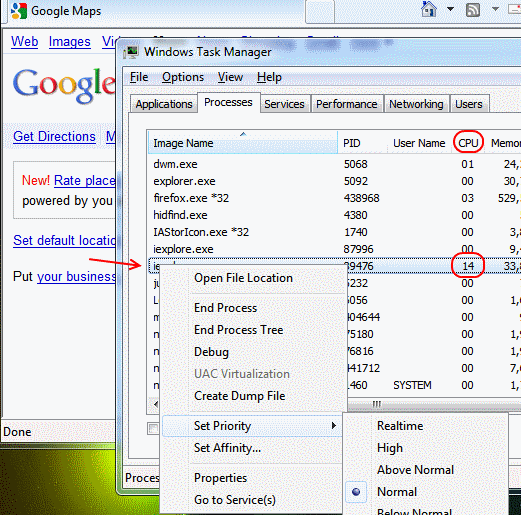 If the app is already running, you can open Task Manager, right-click the app on the Applications tab and click Go To Process, then right-click the process name on the Processes tab and Set Priority to one of the levels above the default, Normal. I chose a relatively quick-and-dirty method to create a batch file to boost the process priority of IE8, in conjunction with the START command, which can be tested via the Command Prompt. 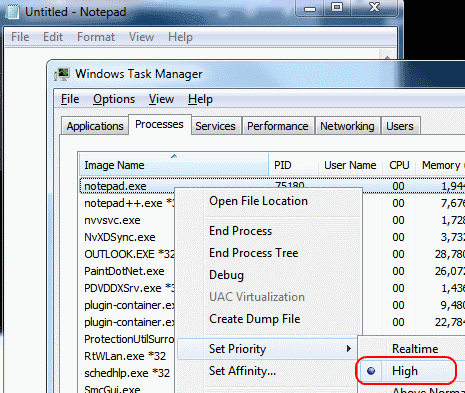 Where /Priority is one of several values (Low, BelowNormal, Normal, AboveNormal, High, RealTime), and ProgramName is the name of a particular executable (EXE) whose priority you wish to boost. I began with a simple batch file as a proof-of-concept to instantiate a High-priority instance of Notepad. Success! Now I wanted to do something similar with Internet Explorer 8, and have it run with High process priority. The result wasn't quite what I wanted. 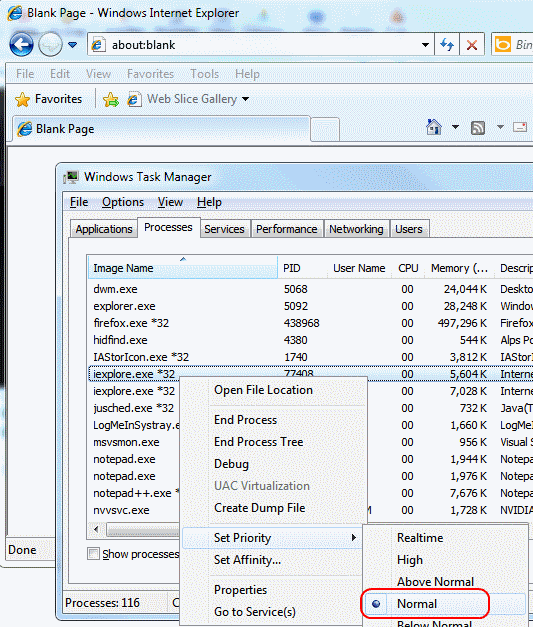 Now when I execute the batch file, START properly starts up one of the iexplore.exe processes at High priority. But wait, why did it start only one process at High, and the other at Normal?? I'm not sure. I do notice, though, that unfortunately the process which appears to represent the default tab of IE8 that opens is the one set to Normal priority, which isn't exactly what I wanted. I can tell that this seems to be the case when I keep an eye on that process' CPU usage as I try browsing, as shown below. Furthermore, as I opened additional tabs, which in turned spawned additional iexplore.exe processes in Task Manager, each of these too had only Normal process priority. Only the first process (note that the process with PID 87996 is High, while the second with PID 89476 is Normal). 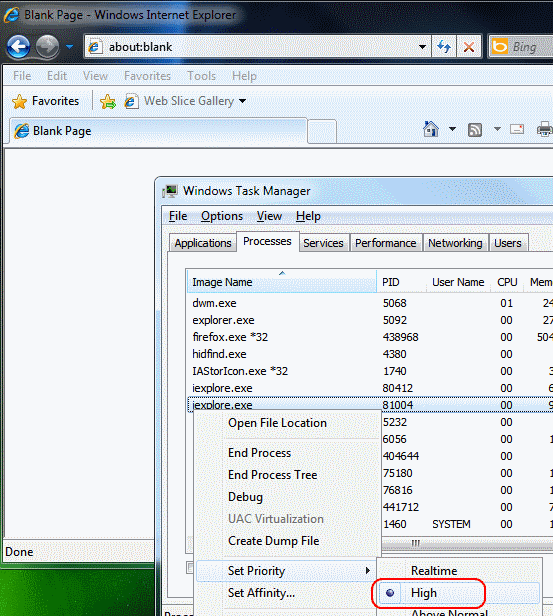 The end result of this is that despite having set the priority of iexplore.exe to High via the START command in a shortcut, it seems to set this priority only for the "base" instance of iexplore.exe, not the instance which actually seems to be dedicated to browsing; not much help if your goal is to have browsing take precedence among the other activities of your applications. It looks like I may need to find some Windows settings specific to Internet Explorer or process priority elsewhere, whether by hacking the registry or some other means. However, according to some of the comments in the article, some users of Windows 7 64-bit have reported problems getting their changes to process priorites to "stick" between reboots. Curiously, the very first time I installed the utility, I received no prompt asking me to reboot, whereas after following the above steps, the installer did suggest a reboot. Perhaps this indicates the installer is missing something the first time through whereby a component isn't getting copied or installed on the system properly? 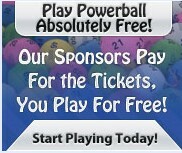 At any rate, we'll see if this works, and if so, it'll be a handy utility to have!